Have you taken the Ice Bucket Challenge? The ALS awareness campaign has taken social media by storm, Cumberland Farms is getting involved. The challenge, which began with ALS survivor Pete Frates, a former baseball player at Boston College, has raised millions of dollars and brought the degenerative condition, also known as Lou Gehrig’s Dieases, to the forefront. “The company is nominating its customers to #StrikeOutALS by purchasing ice to take part in the Ice Bucket Challenge to raise awareness and funds for the ALS Association. All of the brand's nearly 600 stores will be participating in the fundraiser,” Cumberland Farms announced on PRNewswire earlier this week. 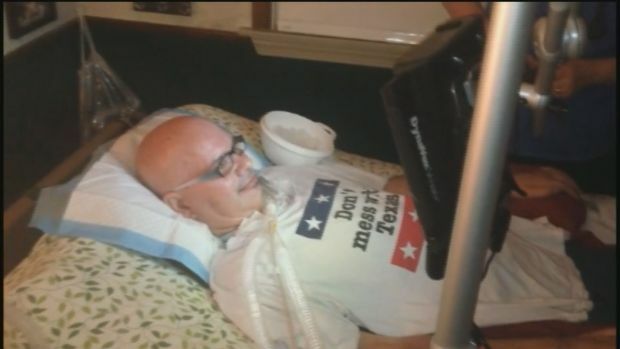 David McClain was diagnosed with ALS in 2003 and this week added a Texas twist to the ice bucket challenge. It started with a Cumberland Farms employee, who urged the retailer to donate after completing the challenge, according to the site. Public figures such as George W. Bush, Tiger Woods, LeBron James, Steven Spielberg and Oprah Winfrey have dumped icy waters over their heads in the name of a good cause. Others, such as President Obama and Charlie Sheen, have opted to donate instead. Donations have skyrocketed since the challenge caught on. NBC News reported last week that the ALS Association received some $1.35 million between July 29 and Aug. 11, as opposed to $22,000 during the same time frame last year.